I recently had the opportunity to spend some time enjoying a walking meditation in a nearby park. The peacefulness and serenity of the park was amazing. This chance to enjoy nature and the summer is a natural stress reliever. A walking meditation allows you to enjoy nature yet be mindful of all that is around you and to live in the present. 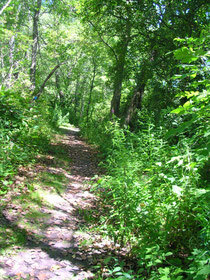 I encourage all my reiki clients to try a walking meditation and to enjoy this wonderful weather.